I'm super excited to be able to share with you some of the confirmed new feature in Silhouette Studio 4. The best part is these are design features and tools A LOT of Silhouette Studio users have requested been begging for! 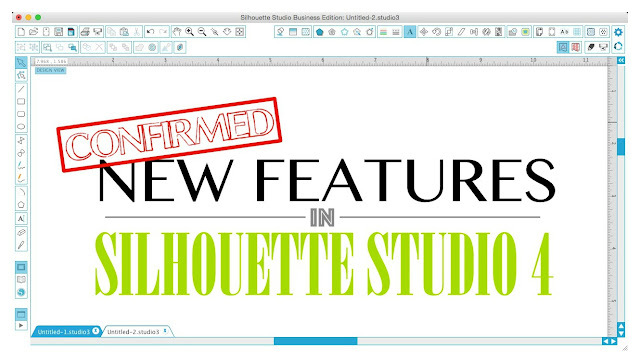 As one of the invited early beta testers for Silhouette Studio 4, I've been sworn to secrecy about certain things, but I have been given the go-ahead to spill some details of new features and tools that are not only coming - but have been highly demanded by Silhouette crafters. 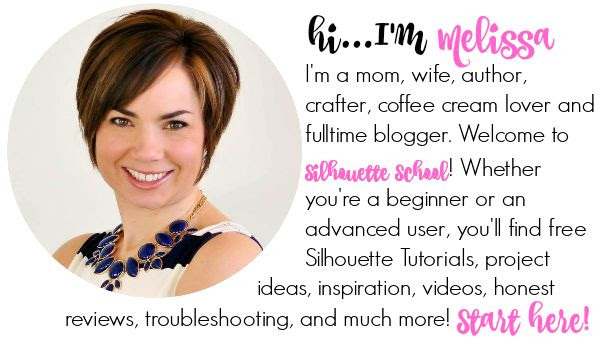 Last week I put the call out for requests on the Silhouette School Facebook page and many of you chimed in which is totally awesome. 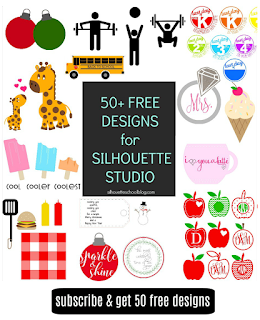 I passed along that rather lengthy 'Silhouette Studio 4 Wish List' to the people who can make them happen (or at least consider it!) and YOU GUYS they're already on it!! Keep in mind some of these, specifically the font display improvements, may not be available until 4.1 or 4.2...but they are on Silhouette's radar and they are coming! I've also passed along other feedback and frequent requests such as a larger machine size, larger thumbnail designs in Silhouette Studio, the ability to create word art in Studio, options to export as SVG and JPEG, more basic shapes such as stars and hearts, skipping 'zoom in/out' while using the 'undo' function, and offering a direct link to designers' websites' for designs purchased from Silhouette Store. Finally, Silhouette Studio 4 is slated to be released later this year and will work with the new CAMEO 3 as well as older machines. 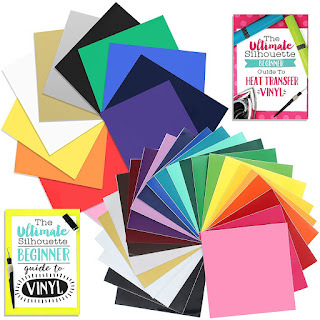 A larger cutter would certainly fill the space between the Silhouette cutters, and the larger commercial vinyl cutters. Looking like the software improvements will be useful. I'm so glad you included word art in your "laundry list" to Silhouette. Using Word,etc. is so clumsy and time-consuming. I would love to see the ruler darker for visual aid to us older people. I know probably not one of the big ones...but would be helpful. It would be great to be able to type the placement of a line or object on the page like other software. Same here. The vision isn't as great now. Oh me too. I have to keep my magnifying glass handy...I want black numbers and ticks...oh, my old eyes. I would like the Silhouette designs to be colored as they look, rather than empty shapes. Hope that makes sense! I hate buying a design, then opening it and having to figure out what all of the little pieces are. I so agree with you! It's hard to figure out what to cut. some of the designs already come in color. I guess it's up to the designer to put them up for sale as filled or empty shapes. Oh yes, that would be a major time saver as well as clarification. I wish they would separate the cut fonts from the sketch fonts in the font sidebar, would make it so much easier to find them. I would love to have a "preview option" where you can remove the red cut lines, it would make creating mock ups so much easier! I think you can do that just go to line colour & change it or choose no cut on the cut settings. there is an option for what I think you are asking for. Up top you can change it for your lines to be any color or else no lines. There is an option to turn the cut lines off. you go to line , color then to the square with lines through it. I do it all the time. I would love the option to categorize my fonts...script, block, etc. That way when I know I want to use a specific kind I can click on that category instead of scrolling through 100's of fonts. Would like the fonts to be displayed larger. They are really tiny and in such a small display box that it is really hard to see and takes a long time to find the font you want to use. Agreed on the font display size! What I do is select my text and then arrow down through the fonts, so the font on my project changes and I can see how it looks. But that font window is tiny! I downloaded Nexusfont, type my words there and can see them in all fonts. You can also organized them however you want. Then when I know what I want, I go to Studio and can go right to it. Will the new version be a free upgrade for DE, or a paid upgrade? This! I want to know too. 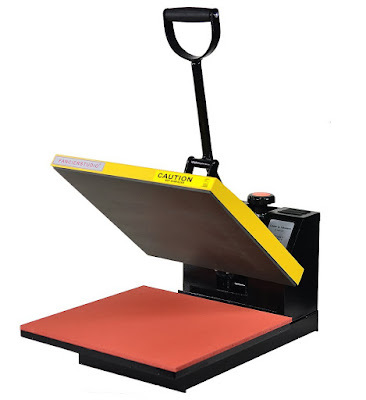 I would like to have the pix scan to be able to scan a full 12x12 page. I've got so many designs that I have to piece together. This is actually an easy fix. I would like to be able to assign the fill and outline color to an object all within the same icon. The software for my Pazzles is very simple. Right click ( on a color chip) for the outline color, left click for the fill. It makes it so easy to arrange pieces of fabric and paper for cutting. Hi, Melissa. In the latest version of Studio I noticed something annoying: when I select a shape and duplicate it, the first one remains selected, as well as the duplicated shape. This has made it more difficult to replicate shapes and control the space between them. Sometimes, when we duplicate a shape, the result either gets too far from the original shape or too close. I used to duplicate, use the arrow keys to adjust the distance, use duplicate again and thus have a full control over my page. I've written to Silhouette America and they told me this was something people asked a lot for. I cannot imagine why people would beg for this feature. S. A. did not answer me anymore. Do you know anything about this? FYI, I use the Business Edition. I've been using the Alt key with click & drag shortcut that Melissa talked about a week or two ago. LOVE IT! Fast, easy replicating and I can put it exactly where I want as I go! But you have to drag, I mean, to move your hand a bit, watching out to not move upwards or downwards. It's not so simple as to just click and have it duplicated and pressing the arrow keys just once or twice to position your new shape exactly where you need it. I thought I had replied yesterday, but seems my msg didn't show up. Let me write again. Girls, I really appreciate your willing to help. But the problem is not HOW TO DUPLICATE. I know that using CTL (and not Alt, at least in Windows) + arrow also duplicates a shape. The problem is that after doing this or using the button in the replicate window, the first shape REMAINS selected, as well as the resulting shape. I know exactly what you are talking about, Patricia. I use Ctrl+arrow all the time and it's a great tool. With the latest update they really screwed it up by allowing both objects to stay selected and now that command is worthless to me. I did complain about it when I was on a support call last week. The young girl I was talking to immediately talked to her supervisor and pointed it out. Suggested that I write to SA to request they put it back to the original working. "Thank you for your email. The feature is one that has been requested by other users. We will definitely pass on your feedback to our software team, but as of right now there is not way to change it. Please let us know if you have any further questions or concerns. " I wrote again. No more answers since May 17. I suggested that it could be an option. If we can choose between individual bounding boxes or a single one, why can't we chose between keeping all shapes selected and just the last duplicated one selected? Someone with a "louder voice" to help us? I have reported this and they are supposed to be working on a fix. I know it's very annoying. Another thing I would love to see fort he Undo function - what action the Undo is taking! Sometimes it is slow and I may hit it more times than needed. If I could see what step it was "undoing", that would be SO helpful. You can see that if you actually go to Edit in the toolbar. Then the top option will be "Undo resize" or "Undo fill" or "Undo Erase", for example. 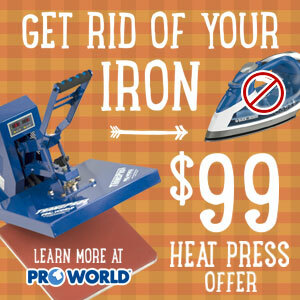 It takes longer, but if you're trying to make sure you only undo a certain few changes it's much handier. I think it would be great if we could export designs by subject from our library, like Animals, flourishes, etc. I've got about 30 different categories in my library. 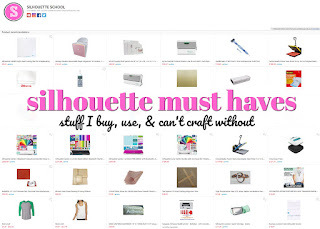 we cannot browse to http://www.silhouetteamerica.com/ at all - is there a problem with the domain or store ?? And when will this be available to us to use???? Another nice feature to have would to be able to adjust the width of knife tool like you can with the eraser. You can control the width. You must deselect autoapply. Then draw your line, click on the line to highlight it and then adjust the line weight. You can then move the line where you need to and then click apply. I wish we could pick a default size though. I do most of my knife work when zoomed way in and it is a giant line. I would love to see the zoom feature more intuitive, like most other programs. Most everything I work with (especially graphics programs), you can zoom in or out using a mouse scroll wheel or CTRL+ and CTRL-. And that would make zoom more incremental, rather than having just a few pre-defined zoom levels. wish it could be wireless. that would be awesome.. I would love to have a reference picture. Right now I go back into the store and select and copy the picture which I can save to my hard drive and print so that I have a reference picture. Some of the designs are so complex that I need a reference picture and the item in my library won't do. All of these questions and not one answer. Seriously, why even have a comments section to these pages if nobody is going to bother to answer any of them? I totally agree! I've thought the same thing many times when reviewing the comments of SS! Why have it if no one replies to questions? Pointless waste of space! Guys - we get comments everywhere - HUNDREDS a day! The 2.5 of us who work on Silhouette School try our very very best to keep up with comments on Facbook, email, social media, and the blog. If you have a problem specifically with a feature or function it's best to email as we check email multiple times a day but comments only a few times a week. I wish every 3D design in the Design-Store had full how-to instructions attached! I don't know how many I've bought only to discover a lack of instructions even on the designer's blog or webpage. Thank you! 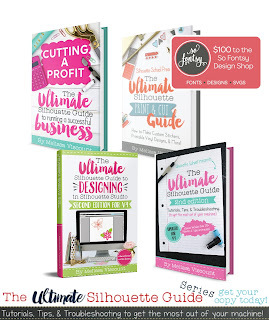 Personally, I'd love to be able to convert OTF/TTF to single/center line fonts. Would be nice if they included 'center line' tracing. This would be greatly appreciated when creating rhinestone designs. If there's an existing feature or workaround that does it easily like video I watched http://www.iloveknk.com/Support/Rhinestone/Videos/RT03CenterLineTracingFonts.wmv, please let me know. Thanks! I thought I had heard/read that saving as SVG would be a feature. Is it not? Any information about this would be greatly appreciated as some of my intricate designs don't trace well in 3rd party software. Saving as an SVG file was possible in very early versions of Silhouette Studio - but it was taken away when we went to V2. I would not count on it coming back. Wish they would announce the release date. I am having so many problems with the latest studio and my Cameo 3. I sure hope Studio 4 has the bugs worked out. There is no release date yet, it hasn't even made it to beta yet unfortunately. I hope this is not impossible, but I am anxiously awaiting the day when we don't have to use those unsightly registration marks when doing print and cut. With modern technology advancing daily, we should be able to just print and cut with the machine producing a PRECISE cut without using these registration marks!! !